Feb 2017 Edit: The book has been updated. I wrote an article on web scraping last winter that has since been viewed almost 100,000 times. Clearly there are people who want to learn about this stuff, so I decided I’d write a book. 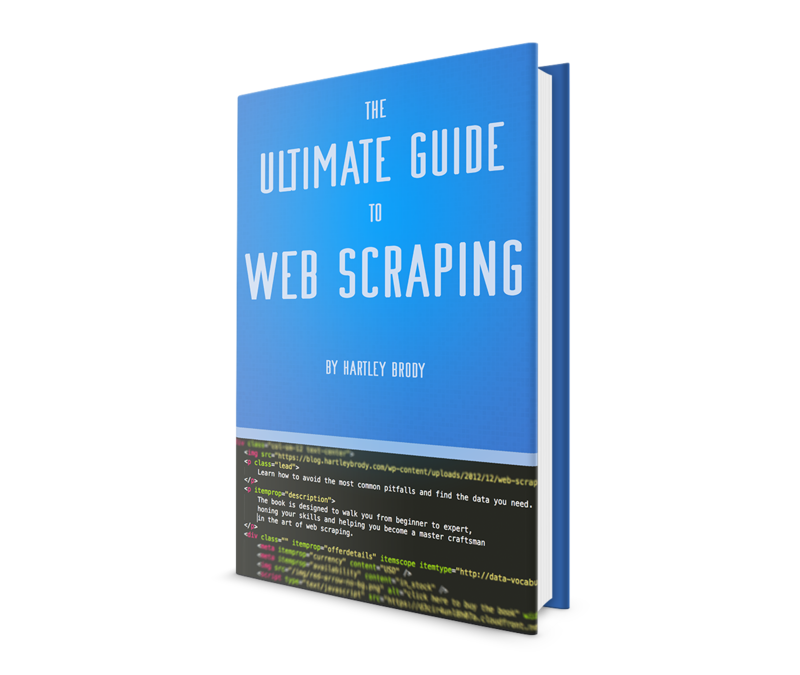 A few months later, I’m happy to announce: The Ultimate Guide to Web Scraping. No prior knowledge of web scraping is necessary to follow along – the book is designed to walk you from beginner to expert, honing your skills and helping you become a master craftsman in the art of web scraping. The book talks about the reasons why web scraping is a valid way to harvest information – despite common complaints. It also examines various ways that information is sent from a website to your computer, and how you can intercept and parse it. We’ll also look at common traps and anti-scraping tactics and how you might be able to thwart them. Finding The Data: Discovering Your "API"
As a special deal for my blog subscribers, get 20% off with the code BLOGSUB. That coupon code is only good for a limited time, so order your copy today! The download includes Kindle, iPad and .PDF versions. If you’d like more information, check out the book’s landing page, here.